Frolic and play the Missouri Star way, quilting in a winter wonderland. The latest issue of BLOCK is here and it’s filled with a flurry of cozy projects to warm your home and the hearts of your loved ones. 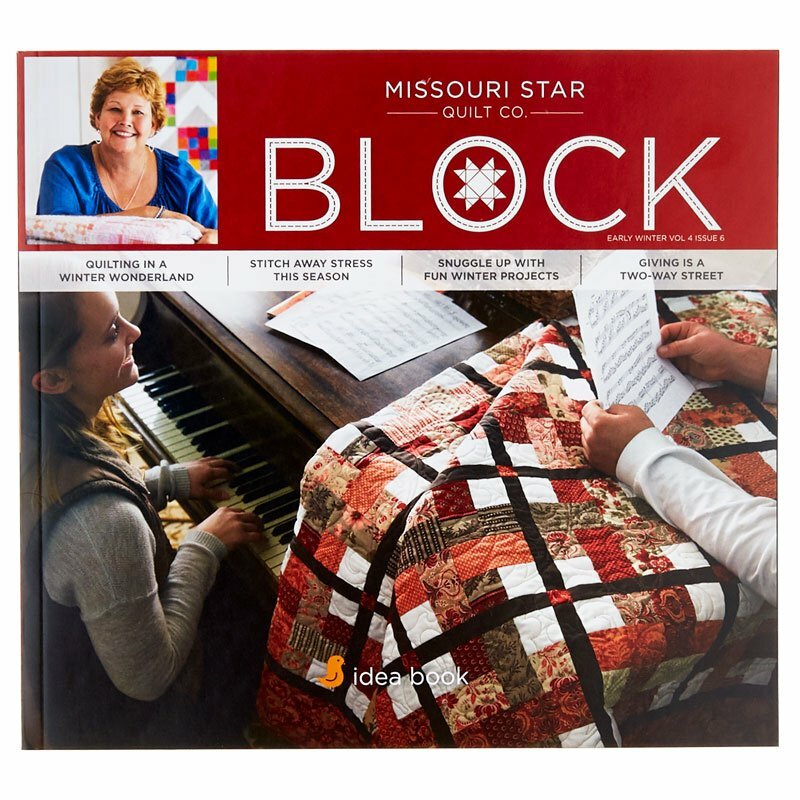 Cuddle up with 10 beautiful quilts and you won’t mind getting snowed in one bit.This gorgeous issue of BLOCK has plenty of fun projects to help you kick off the new year right. Do you have a resolution to use up some of that stash? Well, you won’t be hard pressed to find a project you’ll adore. Begin with the Disappearing Hourglass 3 and keep on quilting until you’ve tried out the Dreamweaver, the Roundabout, Stars & Pinwheels, and many more. Keep a quilt or two and find the rest good homes. When you’re all through, you’ll be amazed at your progress! 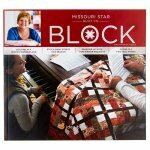 Start the coming year with BLOCK and you’ll soon find that you can’t help but share your love of quilting with others.